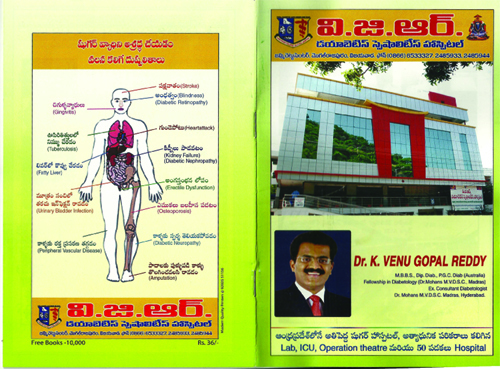 V.G.R Diabetes Hospital was inaugurated on 23/04/2006 in the city of Vijayawada by Dr. Venu Gopal Reddy. 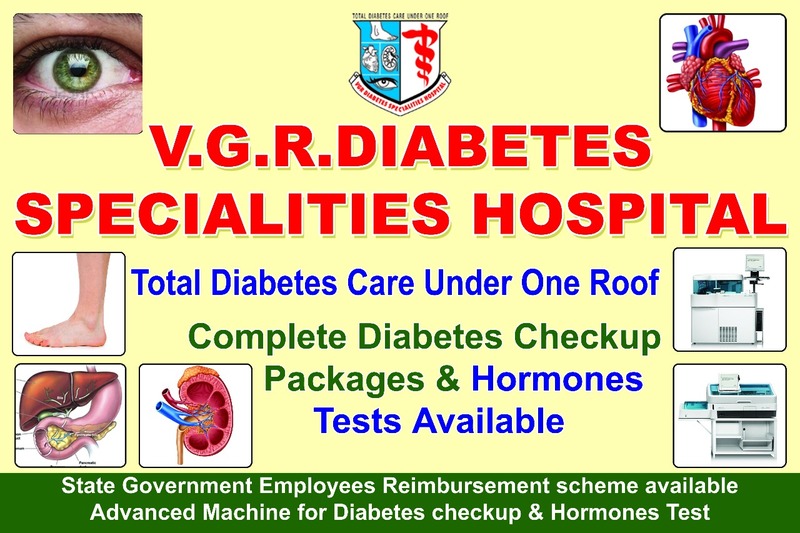 To provide Total Diabetic Care under one roof and not only routine treatment of diabetes but also of its various complications. To provide the modern and efficient diabetes services right in the vijayawada so that the facilities could be made available to a larger section of people. 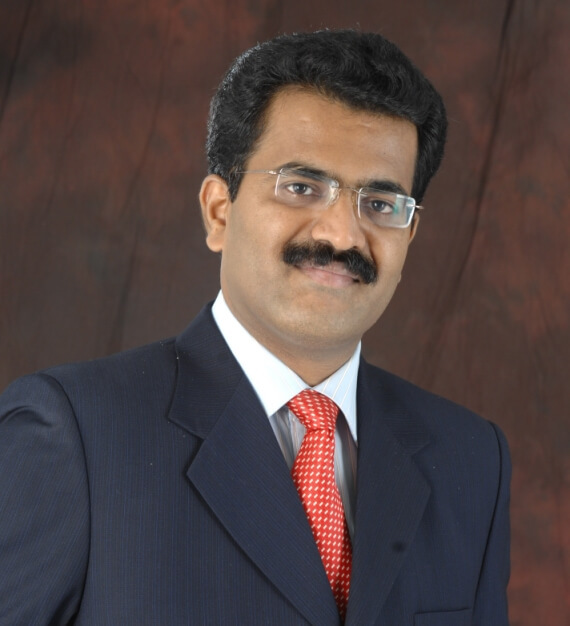 As a part of increasing awareness among public regarding Diabetes, Dr. K. Venugopal Reddy did more than 800 radio programmes in VIVID BHARATHI and FM CHANNELS which has been very instrumental in reaching the very end remote villages, towns creating awareness, educating the people, answers to their questions were given regarding Diabetes and its complications. As a part of educational and motivational programmes, Dr. K. VenuGopal Reddy kept awareness stalls in INDUSTRIAL EXHIBITION in VIJAYAWADA for nearly 200 days where pamphlets, books were exhibited, distributed free of cost, played pivotal role in reaching every corner around Vijayawada. Diabetes the most neglected disease even among the educated people which has been the leading cause of sudden death due to silent CAD (heart disease). So to prevent these untoward incidents more than 1000 awareness talks were conducted among students, teachers and employers. Out of these 75 awareness programmes and talks were in colleges making students and youth educated about Diabetes and promoting them towards healthy lifestyle who are most prone to diabetes, and how to identify the early stages of diabetes. About 400 villages level camps were conducted and programmes were focussed at village level health education, preventive measures, giving them in detail knowledge of diabetes, its complications regarding regular checkups and the importance of controlling sugars and regular treatment. Many camps were conducted at village levels, providing free treatment and medicines in association with other N.G.O’s. Dr. K. VenuGopal Reddy spoke for about 400 awareness talks in government sector branches like Banks, LIC branches, Post offices, Insurance offices and many other Corporate sector branches explaining them the haxards and complications of Diabetes and its complications helping them how to diagnose early symptoms and regarding regular treatment and its importance. Insight was provided on Keeping diabetes under control and leading a extended happy life span. 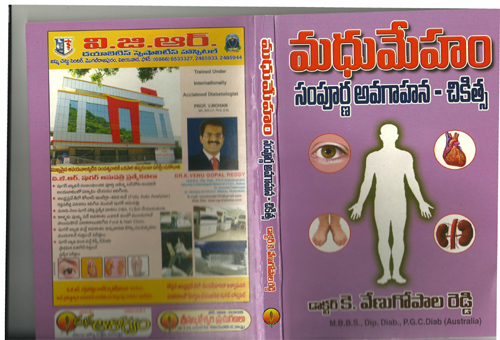 Dr. K. VenuGopal Reddy has keen interest in creating awareness among the common public and freely distributed lakhs of pamphlets, thousands of books to students, Employees, Teachers, Public at free of cost for increasing their awareness and insight related to diabetes. Padmashri Dr. V. Mohan visited his student Dr. K. Venugopala Reddy V.G.R Diabetes Specialities Hospital in Vijayawada and congratulating Dr. K. Venugopala Reddy and giving blessings to his student.